Lawmaker who sponsored amensty bill for looters should be punished – Sagay – Royal Times of Nigeria. 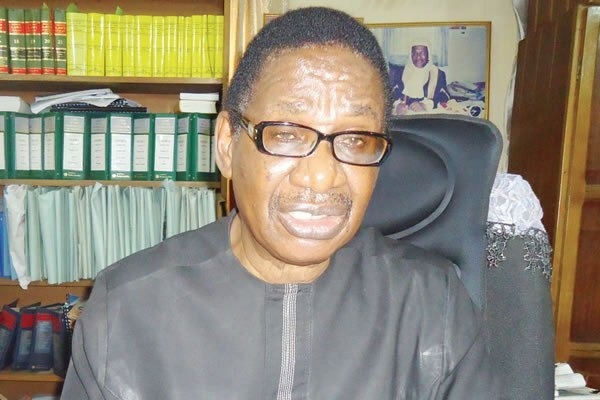 Chairman of the Presidential Advisory Committee Against Corruption (PACAC), Prof. Itse Sagay has described the bill seeking to grant amnesty to self-confessed looters in the House of Representatives as disgraceful. In a statement on Wednesday, Sagay said the sponsor of the bill, Mr. Linus Okorie should be punished. “That a Nigerian legislator (a lawmaker) can have the effrontery to promote a bill which if enacted into law, will enable looters of our treasury and national patrimony to keep the loot, if only they can acknowledge it as looted, provided they undertake to spend it in Nigeria, is breathtaking. “In summary, what Mr. Okorie is encouraging is free plundering of state funds without consequences. Simply put, it is the legitimating of treasury plundering. It is clear that if such a bill becomes law, the anti-corruption war is doomed.